Not a lot of "creative juice" here... Not a lot of neologistic mojo, either. A magazine without an editor is -- what? The Dead Letter office. I remember when MyOpera mods would insist that thread titles needed to be appropriately descriptive (...presumably because their search algorithms were piss-poor facsimiles, hence the titles needed to give all the clues needed...). Well, they gave up. There is a middle course. Oakdale pursuing the "Third Way"? Is it before or after the main course? Or is it the same thing as main course, but smaller and with pretentious assumption that it's something different? I don't know. Oak, are you really sure you want the mods to be editors? I mean, beyond the obvious trashing of spam and trying to make sure things don't get too personal? I've got a feeling if one of y'all start tinkering with his posts he might feel a little different. I am perhaps not unusual in preferring https://thedndsanctuary.eu/index.php?board=1.0 ? When I click on "Mark All as Read", do all those damfool spampostings score another "view" in their statistics? No, that only happens when you actually visit a topic. Thank you. That takes a load off my mind. Oh non not that damn "awesome" word again? It used to be that the word was for something really outstanding and now it is used for things that are hardly more than routine. it started in the States and getting worked in here in GB. Even a tv advert (groan). On my railway simulator world it is a regular thing from Americans. It is more frustrating than say being forced to live in Edinburgh. I have been disappointed to discover that DnD Sanctuary is a bit of a fraud. It is a post-graduate research paper undertaken by some of the moderators. Not all of the posters are real. Many of us, of course, are flesh and blood, but the more colourful characters are entirely manufactured. They serve the same function as does dietary roughage, which provides the necessary bulk to encourage the efficient movement of food through the digestive system, without providing any nourishment themselves. Some of their posts are eerily reminiscent of peristalsis. How's that for a substitute RJ? Just thinking back to this conversation Southern laddie. Brilliant in theory and sounds an improvement but the emotional way your lot act that word would be spoiled too! Some of their posts are eerily reminiscent of peristalsis. And we know what that leads to! Sad news to report; mjmsport40 died yesterday evening, according to Facebook. 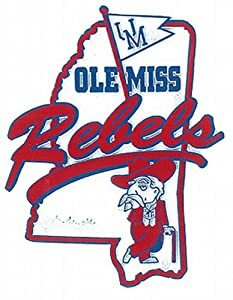 Thanks for letting us know Colonel Rebel. Now that is very sad news and he and I had exchanged chats occasionally. Undocumented space aliens never dies, they just keep on traveling. I must confess I hadn't realized what was being said in this post until know. Interesting, very interesting. Glad I'm not a colourful character.